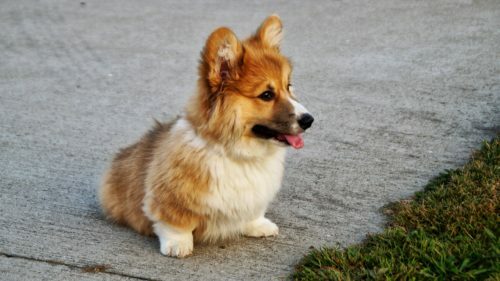 Corgis, full name Pembroke Welsh Corgi, are those adorable little dogs with big, furry trunks and tiny, stubby legs. They are perhaps most well-known for being the breed of choice of Queen Elizabeth. In fact, she has owned more than 30 Corgi dogs during her tenure as Queen, and recently just adopted another. Perhaps because of their association with the Queen, these little dogs have grown into incredibly self-assured pups. Their posture would tell you they think they’re standing tall, and they have all the confidence of a much larger breed. 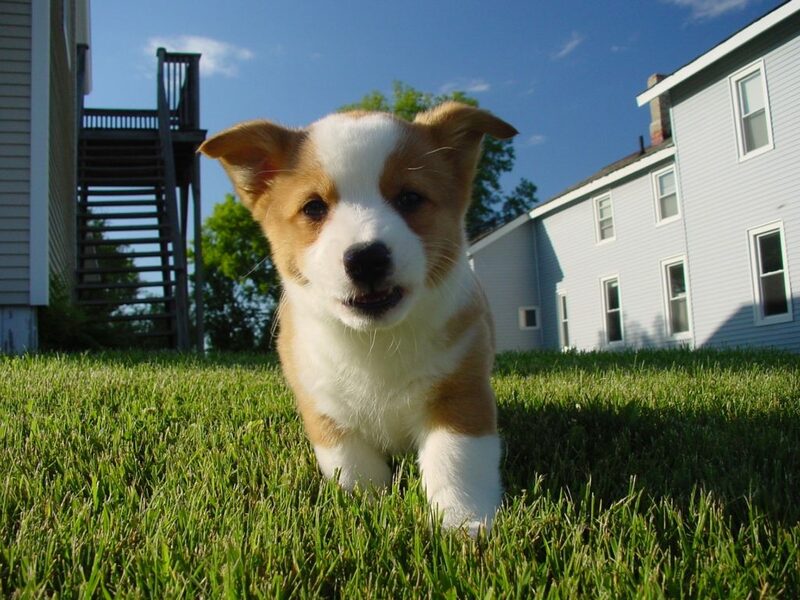 The Corgi personality ranges from happy, smart, fun-loving, loyal, stubborn, and playful. They are adorable little troublemakers that you won’t be able to help but laugh at when they get up to some mischief. When they are given the proper attention and training, Corgis can certainly make great pets. But in order to have a successful pet relationship, you’re going to need to have a personality to match or keep up with, your dog’s. And while they surely take a little work, Corgis are a breed you will make countless memories with on your adventures. Corgis originated as working dogs, used to help herd cattle and other livestock. Today, they are mainly family pets, but they still have that working dog spirit of the ancestors. Corgis have larger than life personalities packed into their small bodies. Though like with any dog or animal or even humans, their personality will vary from one dog to another, they are mostly very cheerful animals. They love to play and are trusting and quick to offer affection. Corgis are extremely happy and attentive dogs, that thrive on being the center of attention and will want to be involved in everything you and your family do. They are eager to please and have a lot of energy, although it won’t take much effort to tire them out. Corgis are also thought to have a great sense of humor and will provide your family with constant entertainment. Corgis are also very intuitive and independent. If they aren’t given the proper dog training, they will train you. Corgis have been known to form their own set of rules and can become stubborn if they aren’t given the proper attention. Some may even seem bossy, however, they aren’t malicious, but rather are just strong-willed, and may just want to do things their own way. It will be important to establish your roles in the relationship in a loving way, so they know where they stand but are also allowed to maintain some of their independence. Because of their big, outgoing personalities and level of activity, Corgis are often thought as big dogs on short legs. Corgis are high-energy dogs and will require a moderate amount of exercise to maintain their health and happiness. They will chase a ball with surprising speed and will be eager to carry out any task given to them. In fact, they need a job or frequent activity in order to be happy. Without one, they can become destructive, so they are best suited to active homes who have the time for their dog. But when given daily exercise and loving companionship, they are very amicable dogs and easy to live with–they just need something to do. While Corgis do indeed have a lot of energy, they don’t need to play for a long time or run for miles to burn it off. Multiple daily walks and some play time in the yard are your best bet to maintain a happy and healthy dog. At a minimum, they should be given a daily walk and need time to run around at least a couple times a week. 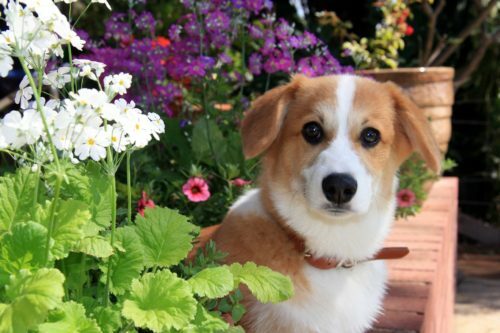 This doesn’t necessarily mean you need a house with a big yard to keep a Corgi happy–they are also highly adaptable to your environment, and while be fine in an apartment or condo as long as you are able to get this breed outside somewhere to play. Since they are herding dogs, they also need tasks to stimulate them mentally. Having roots as farm dogs, they like to stay busy. If you are able to find new activities for them, Corgis are more than willing to learn new tricks or solve problems for you. They will be eager to take on any job you are able to give them. If not, they may actually start trying to herd your children! You should also keep this breed involved with your family activities because they will never want to be left out. With some firm guidance, your Corgi can channel its boundless energy and exuberance into a loving family pet. Are Corgis Easy To Train? Corgis are intelligent dogs and easy to train, but they are also fiercely independent. Since they love to think for themselves, they aren’t the most subservient of dogs. This means they may require some added patience from their owner, but a firm hand is still the best tactic to use during training. Since they like to be in charge, they like to do things on their own time, which can make training a bit frustrating. But with lots of positive reinforcement and a healthy amount of treats, you can get a positive response. Training a Corgi will take some confidence, and rules must be consistently enforced, or the dog might make up their own and form habits that can be hard to break. Training your Corgi also shouldn’t stop once he has learned basic obedience, and despite the saying that “old dogs can’t learn new tricks,” Corgis can, and will, for their entire lives. Corgis love to learn new tasks, so once you are able to establish that you are in control, they will be eager to learn new tricks all throughout their life. Despite their non-athletic appearance, Corgis are actually adept at agility training and often do well in competitions. Above all else, Corgis are friendly, playful, and outgoing, but they can also be stubborn and protective. As dogs with farming instincts, Corgis are very alert for anything out of the ordinary. Because they are so attentive, they will pick up even the slightest sounds, or notice the smallest change to their environment, and often react by barking. This is why proper training is so imperative for the Corgi breed–without it, they will be excessive barkers that could become quite the nuisance. As herding animals, they have also been known to nip at a heel or two, mostly of children, whom they might try to herd if they aren’t given adequate attention and activity. This behavior can also be dealt with through training. Overall, they are devotedly loyal and eager to please their family. 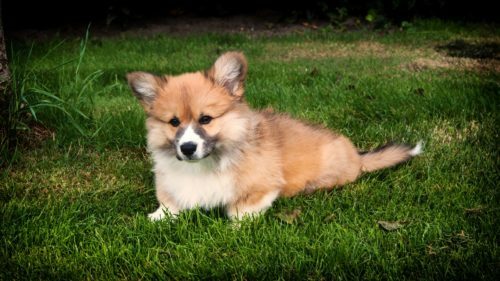 Since Corgis are very independent animals, they can become stubborn and difficult to handle, but again, with proper training early in life, this behavior can be managed. Corgis, like all other herding dog breeds, are strong-minded and want to do as they please and make their own rules. They are small dogs that act as if they are much larger and like to be in charge, so the process of getting them to live by your rules will take some patience. But they are mostly a joy to be around once you are able to assert your leadership role in the family. Corgis have long held the reputation for being quite the little barkers. As we mentioned above, Corgis are highly alert dogs, and their reaction to an unfamiliar sound or person is often to bark. This makes them excellent watch dogs because they will sound an alarm for most anything, but unfortunately, it also means they will bark at almost anything. This behavior can get annoying if it isn’t nipped in the bud early. It’s important for Corgis to learn to trust strangers and other animals so their initial reaction is not to bark at everything or any person who comes near them. Corgis should be exposed early to other people and different sights and sounds so everything isn’t a surprise that gets a bark. They will also need to be socialized with other dogs at an early age for the same reason. However, they do have good instincts to recognize threats, so the barking can be helpful if it isn’t always a false alarm. The barking can usually be reduced, and properly associated, but usually will not disappear completely. It’s just their instincts and something that is very hard to change. Corgis will also bark if they are left alone for long periods of time, something to keep in mind if you live in an apartment or condo. While there are some tactics to deal with separation anxiety, such as not saying goodbye or trying to tire them out before our leave for the day, it may not be a behavior that you can avoid. Corgis definitely should not be left outside during the day when you go to work, or you’ll risk them chasing after another animal or barking all day long and getting on your neighbor’s nerves. A Corgi’s temperament and personality make them have a complex relationship with children. Again, this can vary from dog to dog, but Corgis are thought by some to not be good for families with children under the age of five years old. Because of their natural herding instinct, Corgis tend to be dominant with small children and will often nip at young children to get them to move. They also don’t like being chased around by kids or the shrieking noises small children make. This can cause them to become agitated and act out. If your Corgi is coming from a breeder, you should make sure to ask about the parent’s temperament with small children. But it may be a better option to wait until your children are older before acquiring a Corgi. On the other hand, if you had your Corgi before your children were born, you will have to be on the lookout for any problems. Sometimes, however, Corgis can be great with children, so again, it all depends on the individual dog. With early socialization, Corgis can develop good relationships with any other dogs in your family. They will get used to having other dogs or cats in the house, but it may take some time. However, Corgis can get aggressive with dogs that they are not familiar with, and won’t back down from any fight. If they aren’t properly socialized, Corgis will chase and bark at stranger animals until they leave, or may even attack. Of course, Corgis are great with livestock, since they have a long history as farm dogs, and can generally get along with any animal if given time to socialize and get familiar with each other. Many will be friendly rather than defensive right away, so as usual, it all depends on the individual dog. 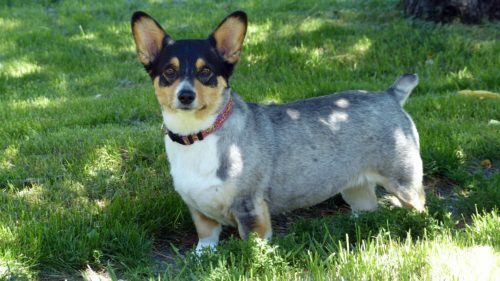 “Pembroke Welsh Corgi – Temperament & Personality.” Petwave, 27 Oct. 2016, Accessed 18 Jan. 2018. www.petwave.com/Dogs/Breeds/Pembroke-Welsh-Corgi/Personality.aspx. Harleman, James. “The Corgi Personality, Revealed.” Rover, 31 May 2018, Accessed 18 Jan. 2018. www.rover.com/blog/corgi-personality/. “Pembroke Welsh Corgi Dog Breed Information, Pictures, Characteristics & Facts.” Dogtime, Accessed 18 Jan. 2018. www.dogtime.com/dog-breeds/pembroke-welsh-corgi#/slide/1. “Pembroke Welsh Corgi.” Vetstreet, Accessed 18 Jan. 2018. www.vetstreet.com/dogs/pembroke-welsh-corgi. “Pembroke Welsh Corgi Dog Breed Information.” American Kennel Club, 6 Nov. 2017, Accessed 18 Jan. 2018. www.akc.org/dog-breeds/pembroke-welsh-corgi/.